The Quality Hotel Chorley, is near the delightful village of Croston, Lancashire, a short drive from Preston and the M6. 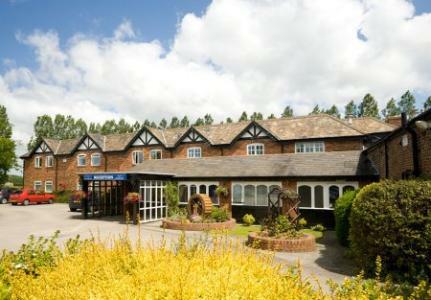 Easy access to the resort of Blackpool, five minutes from Camelot Theme Park and 15 minutes from Southport. All rooms are equipped with modern amenities. Other features include a spacious bar, the Gallery restaurant and free car parking for all customers. Our four function Suites offer the ideal venue for every occasion, up to 250 delegates. Local phone charge .21 per unit. Required extra bedding is free in room shared by up to two children 14 or under and two parents/grandparents.